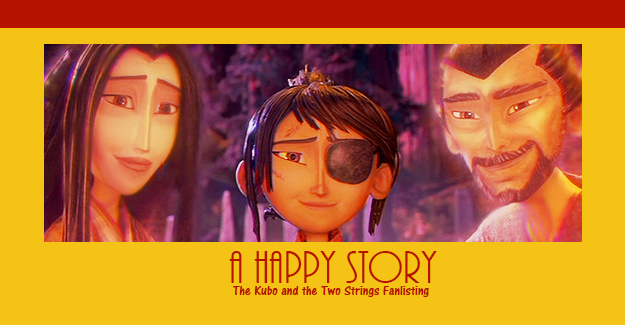 Welcome to A Happy Story, the fanlisting for the animated film, Kubo and the Two Strings. This fanlisting is part of The True Kindness Network and is listed at theFanlistings. Please feel free to browse the sections of this small tribute and if you are a fan of this great movie, please consider joining the fanlisting. Disclaimer: Kubo and the Two Strings belongs to Laika and the other powers that be. Don't sue.